Enjoy the sweet aroma and rich taste of coconuts with Unrefined Extra Virgin Organic Coconut Oil. This organically grown oil is made from naturally grown coconuts and can be used on salads, in sauces, for cooking, or as a substitute for other oils, including butter. Directions: Use one (1) tablespoon daily. Can be used as a substitute for other oils, including butter. Use in cooking, baking, as a spread or in smoothies. Warnings/Cautions: Keep out of reach of children. Store unopened container at room temperature. Refrigerate after opening. Do not use if seal under cap is broken or missing. Unrefined Extra Virgin Coconut Oil is rated 4.8 out of 5 by 35. Rated 5 out of 5 by Barbs from great product I use it all the time instead of other oils. works good . Rated 5 out of 5 by MA from I'm never without this product! I always keep this product stocked up in my pantry. Ii use it for cooking, as a body moisturizer, I even use it on my hair. Rated 5 out of 5 by Anonymous from My expreience The product, service and price was good for me and the fact that I'm a member, help. Rated 5 out of 5 by Julio from Excellent product I replaced other oil for this one. Rated 5 out of 5 by Heather78 from Excellent product! This is a must have! I use this every single day using it for diluting my oils and topically applying it with my essential oils. There are so many benefits to using coconut oil people need to give it a try. Love this product and ill keep buying more! Thanks Vitamin World! Rated 5 out of 5 by Jj1 from Excellant quality and value This is the best coconut oil I have found. The quality and the value far surpasses other brands. I use it in frying. baking as well as on my skin. Like your B12 was purchasing it from a competitor and switched due to the quality and value of your B-12. Tastes great, dissolves completely under the tongue. Gives me an added boost to my very busy day. 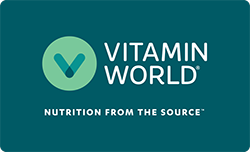 Rated 5 out of 5 by Vitamina from Wonderful product! Organic coconut oil has multiple uses with no harmful additives! Rated 5 out of 5 by Ruth from Very Good Exelent product. Cant live without it.